Good Air Refrigeration LLC provides a wide range of HVAC services for residential properties in the Saint Cloud, FL. If you don’t see what you are looking for here, contact us. We will be happy to answer any of your service questions. A traditional home comfort system has two parts: an indoor unit, such as a furnace or air handler, and an outdoor unit. An air conditioner is the outdoor unit that cools air and sends it to the indoor unit for circulation through your home. Indoor and outdoor units are designed to work together. When the air conditioner is properly matched with a furnace or air handler, you get maximum efficiency and longer system life. Furnaces heat and circulate warm air in the winter. Furnace heating ability is measured with an Annual Fuel Utilization Efficiency (AFUE) percentage. A higher AFUE percentage indicates a more efficient furnace. A split system heat pump keeps homes comfortable all year long. In summer, it draws heat out of your home to cool it. In the winter, it draws heat from outside air into your home to warm it. In a packaged system, all equipment is built into an outdoor unit, usually on a concrete slab or other platform. The "package" that gives it its name provides central air conditioning during the summer and heat in colder months. Thermostats are extremely important because they are your interface and control system for your heating and air conditioning equipment. This is the device that will give you the information on what the equipment is doing, when it needs to be serviced, and allows you to set the exact temperature and humidity you want to maintain in your home. Zoning allows you to have different temperatures in each room or area of your house. You can have one temperature in the kitchen, another temperature in the family room, another temperature in your bedroom, etc. Not only does this provide much more comfort but it can save you up to 20% per year in your annual operating costs because you don't overheat or overcool the areas that are unoccupied. The operating cost savings could be the equivalent to that of going from a 13 SEER air conditioning system to a 15 SEER system. Ultraviolet air treatment systems kill mold that would grow in the cool, damp interiors of your air conditioning system. This is the same technology that's long been used by water treatment facilities, adapted for safe, efficient home air purifiers. A traditional home comfort system has two parts: an outdoor unit, such as an air conditioner or heat pump, and an indoor unit. The air handler is the indoor unit that circulates cool air through your home in the summer and warm air in the winter. The indoor and outdoor units are designed to work together. Air handlers supply conditioned air evenly throughout your home, when used in place of a furnace, with either an air conditioning or heat pump system. Dehumidification can be very important if you live in areas of high humidity. High humidity in cooler temperatures gives you a wet clammy feeling and in warmer temperatures causes a wet sticky feeling and causes perspiration to stay on your body and soak in to you clothes rather than evaporate. High humidity can also cause mold & mildew through out the house and even ruin very expensive clothes, fabrics, paintings & wall coverings. All air-conditioning units take out some humidity when they are running but in very humid areas this is not enough and you need a dehumidifying system. This can take out up to 15 times more water from the air than a standard system with very little operating cost penalty. Be sure your home's air is clear of dust, pollen, fungi, smoke and other particles too small to see. It's easy with a HEPA, Electronic or Media Air Cleaner. These cleaners provide stepped-up filtration, more effective than your furnace or air conditioner alone. In fact, these cleaners can remove up to 94 percent of the particles that pass through your home's system. And since these pollutants can build up as film on walls and furniture, this is performance you'll feel and see. A traditional home comfort system has two parts: an outdoor unit, such as an air conditioner or heat pump, and an indoor unit, such as a furnace or air handler. 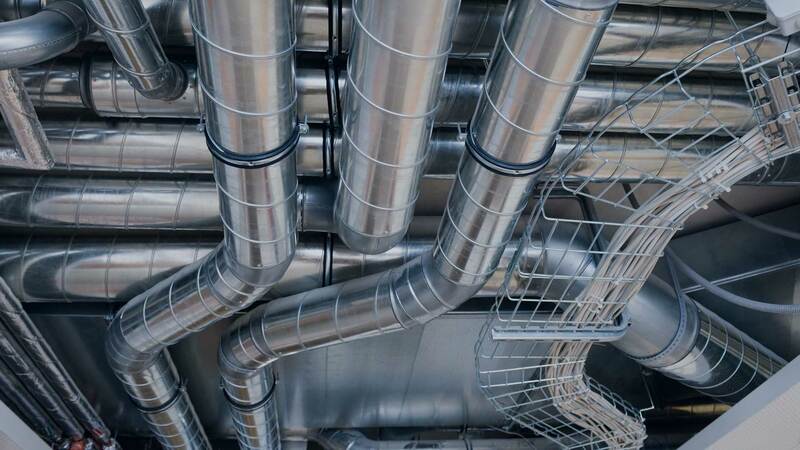 The evaporator coil is a series of piping connected to a furnace or air handler that blows indoor air across it, causing the coil to absorb heat from the air. The cooled air is then delivered to the house through ducting. The refrigerant then flows back to the compressor where the cycle starts over again. 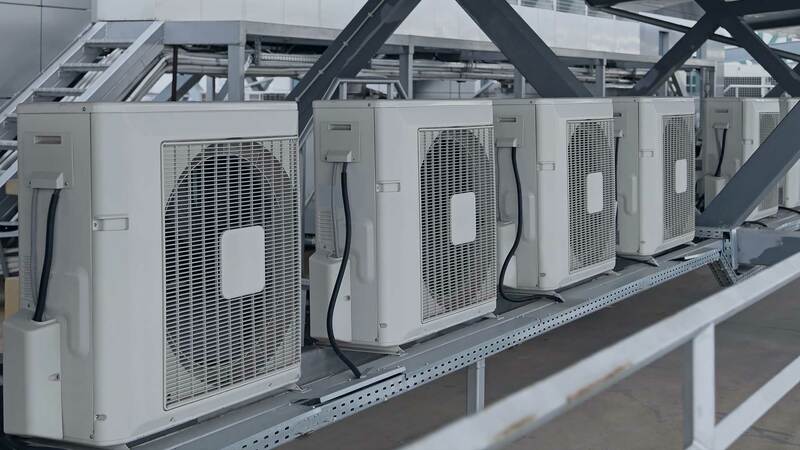 Energy Recovery Ventilator for warm climates or the Heat Recovery Ventilator for cooler regions, these air exchangers quietly bring in fresh, clean air from the outside and remove stale inside air, along with dust and other particle buildup. All information provided is provided for information purposes only and does not constitute a legal contract between Good Air LLC and any person or entity unless otherwise specified. Information is subject to change without prior notice. Although every reasonable effort is made to present current and accurate information, LinkNow!™ Media makes no guarantees of any kind.